The Norman style of helm was so effective that it was used up until the 10th century, during the time of the crusades. This Early Crusader Trefoil Nasal Helmet is, in virtually all ways, a classic Norman helm that features just a bit more decoration. Replicating the design of a traditional Norman helm, this helm features a tall, convex tip that curves out and helps to prevent solid blows from landing atop the crown of the helm (instead, the shape helps divert force down the sides of the helm). Classic Celtic trefoil designs are impressed into the steel around the helms rim, while a nose guard juts out and down to protect the wearers features. The helmet is made from 18 gauge steel and features an adjustable leather lining on its interior. This Norman helmet is big enough to allow for additional padding as well, meaning that an arming cap or other padding can be worn with it. 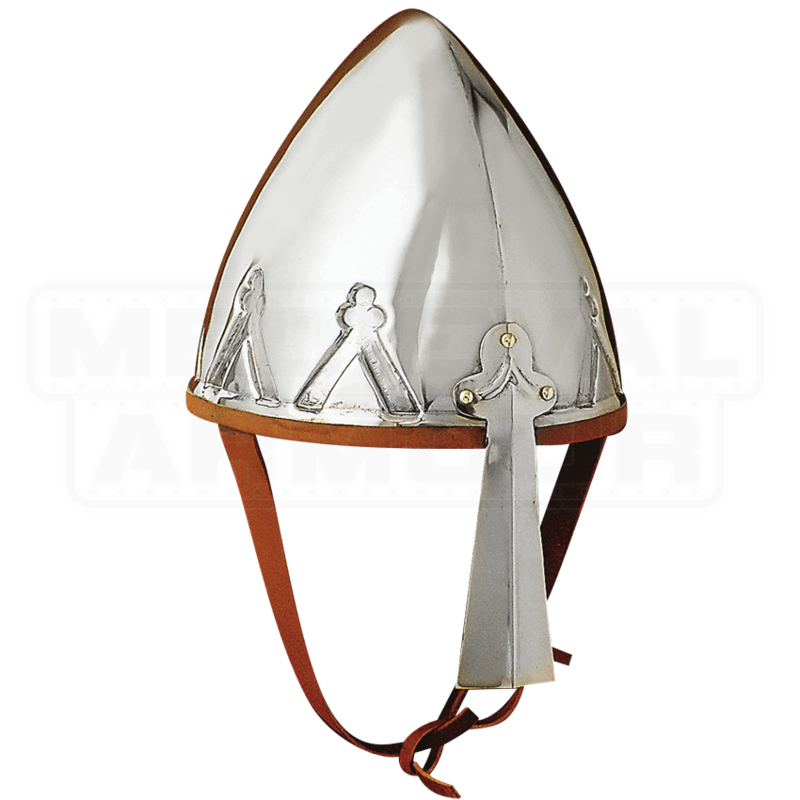 If you are looking to transform yourself into a Norman crusader, or just want to own a striking piece of history, than this Early Crusader Trefoil Nasal Helmet is just the item for you.